VIZ Media will welcome My Hero Academia creator Kohei Horikoshi for his first-ever North American professional appearance at Comic-Con International: San Diego 2018. Comic-Con International is one of the nation’s largest comic book, science fiction, and pop culture events, and will take place July 18–22, 2018 at the San Diego Convention Center, in San Diego, California. VIZ Media will be located in Booth #2813. Complete details on Comic-Con are available at: comic-con.org. My Hero Academia asks… What would the world be like if 80 percent of the population manifested superpowers called “Quirks”? Heroes and villains would be battling it out everywhere. Being a hero would mean learning to use your power, but where would you go to study? The Hero Academy of course. But what would you do if you were one of the 20 percent who were born Quirkless? 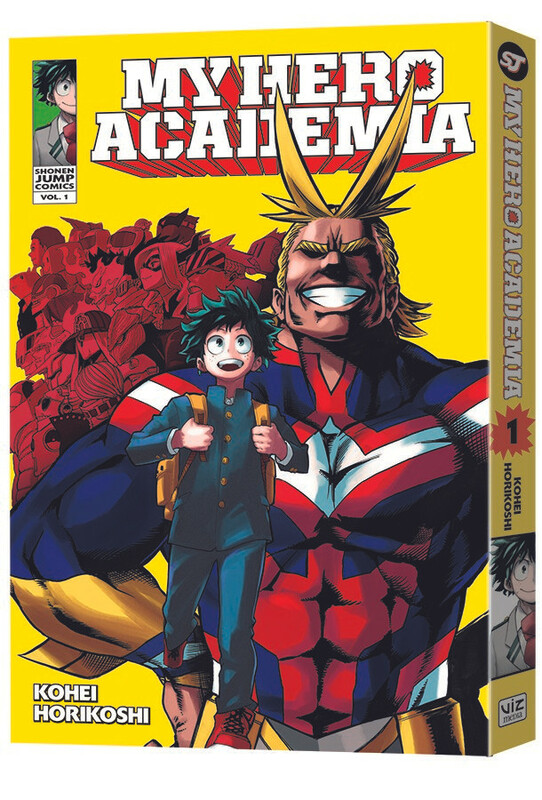 An instant best seller, My Hero Academia has also been adapted into a hit anime series available from FUNimation; the Season 3 SimulDub™ is currently streaming on funimation.com. My Hero Academia Volume 13 will be available in print and digital editions in June 2018. Free chapters of the spin-off series, My Hero Academia: Vigilantes, inspired by the popular manga, are currently available on viz.com.